Scooter Shopping Bag With Reflective Strip On The Rear. It has a reflective strip on the rear for added safety. A shoulder strap is also supplied for your convenience. 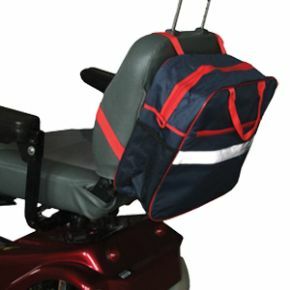 It is available in an attractive Navy with Red trim design. Nice sturdy bag, reasonably roomy too at a good price!